Housed in a historic landmark 1847 Greek revival schoolhouse, Spencertown Academy Arts Center presents a variety of arts and cultural programming to an audience of local residents, second homeowners, and tourists from the Hudson Valley and Berkshire regions. Programs include: exhibitions of fine arts and craft; musical performances; spoken word, poetry and drama; workshops and classes. The Academy is located at 790 Rt. 203, Spencertown, NY 12165. The Academy, including the gallery, is a not-for-profit institution supported by membership, public and private donations and grant funding. A volunteer committee comprised of professional artists and curators administers the Gallery. The Gallery comprises two exhibition spaces: the larger space is approximately 38’ X 15’ and the smaller is 16’ X 15’. Both rooms have abundant natural light as well as track lighting and 9.5’ ceilings. Bonnie Yochelson is an independent curator and art historian specializing in the history of photography. She is former Curator of Prints and Photographs at the Museum of the City of New York and teaches in the MFA Photography, Video and Related Media Department at the School of Visual Arts. 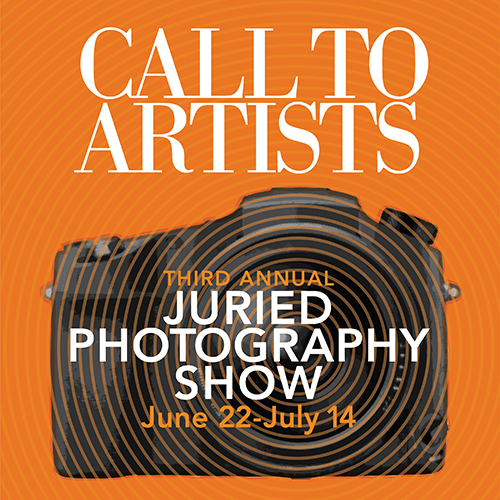 The guest juror will curate the show and bestow First, Second and Honorable Mention Awards. All submissions must be made online through Showsubmit.com at SAACPhotoShow. Complete guidelines, entry forms and instructions for submission are detailed there. Crop the image to exclude mat, frame, or extraneous material. Make a copy of this image (SAVE AS). Keep the original for your own records. Save this copy now with a new filename, as follows: Lastname_firstinitial_phototitle. During the entry process, you would type in the actual Title of the photograph as Early Sunday Morning when asked for the Title, Price, Size, etc. For each image you are asked to supply a brief description of how the piece will be hung. If your display for the image does not involve a frame, you must still give a frame size that is larger than the image size or the entry system will not accept the image; just add .5 inch to width and height and we will recognize it. Members $30 and Non-Members $40. This fee covers submission of up to 4 pieces. Notification of acceptance will be on April 8 by email. No substitutions of accepted work will be allowed. All work must remain in the gallery until pick-up on Monday, July 15 or Tuesday, July 16. All work must be for sale. Based on our sales experience from previous shows, we encourage photographers not to exceed $500 for their work although, officially, there is no price restriction. The Academy receives a 35% commission on any work sold. Attach appropriate hardware for hanging. Gallery staff will not attach wire, hangers, clips or other hardware. Ensure corners of frames, whether metal or wood, are tightly joined. Glass must be free and clear of smudges, stray debris or paper that slipped in during framing, or anything that will detract from viewing. Mats, if used, must be clean or will be turned away for replacement. For all other questions about the show, contact Show Chair Lynn Rothenberg at gro.y1556094572medac1556094572anwot1556094572recne1556094572ps@tr1556094572a1556094572.